This important historical document gives insight into one of the many arguments that resulted in the Constitution the U.S. has today. James Madison, Alexander Hamilton, and John Jay published the the Federalist Papers, a series of 85 letters promoting the ratification of the United States Constitution. 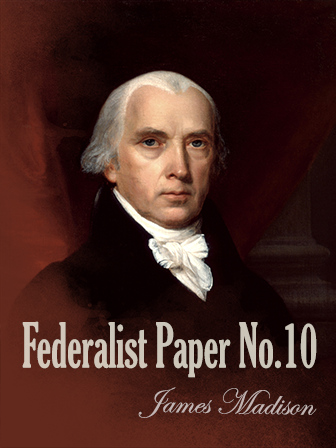 Federalist Paper No. 10 is considered by many to be the most famous of these articles. Federalist Paper No. 10 will give students a glimpse of the early United States and the struggles that it faced before becoming a united and democratic nation.